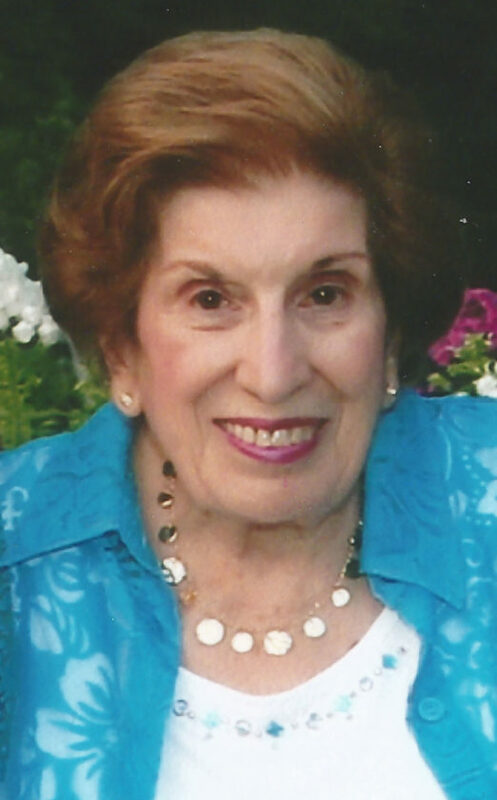 Claudia Terranova Lamantia, 89, of Florence, Ky., formerly of Jamestown and Falconer, passed away Aug. 17, 2018, at Florence Park Care Center. A nearly lifelong area resident, she was born Oct. 11, 1928, in Jamestown, the daugher of Concetta “Jenny” Petix Terranova and Amadeo Terranova. Claudia was a 1946 graduate of Jamestown High School. She spent her life as a loving wife, mother, grandmother and home- maker. She was a member of St. John’s Roman Catholic Church for most of her life, also belonging to Ss. Peter and Paul and Our Lady of Loretto in later years. She was heavily involved in church, giving endless hours as an Altar and Rosary member, eucharistic minister and first communion teacher for many years. She also served in numerous leadership roles, such as Parish Council and Pre-Cana. Claudia enjoyed all sorts of needle work and most notably was a very talented and self-taught seamstress. Through the years, she created countless outfits, home decor and crafts for both herself and her family. She shared her wonderful talent by teaching both her daughters to do the same. She also had a passion for baking, especially to share with family and friends. Additionally, she held a deep appreciation for classical music and was an avid reader, teaching all her childeren to love and appreciate both. Surviving are two sons: John (Kathleen) Lamantia of Anchorage, Alask and Peter Lamantia (Helene Jacquelin) of Tucson, Ariz.; and two daughters: Mary (Mark) Haldeman of Piqua, Ohio and Elizabeth (Rick) Dickerson of Union, Ky.; two grandsons: John David (Vanessa) Lamantia of Juneau, Alaska, and Matthew (Katie) Haldeman of Columbia, S.C.; two granddaughters: Concetta Blechschmidt of Columbus, Ohio, and Anissa Dickerson of Union, Ky; and three great-grandchildren. She was preceeded in death by her husband, Peter J. Lamantia, whom she married April 17, 1948; a son, Paul; her parents; two brothers: Thomas Terranova and Salvatore Terranova; and two sisters: Margaret Jaffy and Elizabeth “Betty” Trusso. A memorial Mass will be celebrated at 9:45 a.m. on Saturday, Sept. 15, 2018, in Holy Apostle Parish at St. John Catholic Church, 270 Newton Ave., Jamestown. The Rev. Dennis Mende will officiate. Interment will immediately follow at Holy Sepluchre Cemetery. The family will receive friends at the church from 8:15-9:45 a.m., on Saturday, Sept, 15, 2018..
Those wishing to make a memorial donation may do so to the Falconer Public Library, 101 W. Main St., Falconer, NY 14733 or Hospice of the Bluegrass Northern Kentucky, 7388 Turfway Road, Florence, KY 41042. Visit our website at www.falconerfuneral home.net to send a message of condolence.